Are you ready to save $600 on your own pre-engineered utility trailer? My name is Matt Kline and I have been building trailers and other projects for well over 20 years. What I have learned over the years has been to stop making mistakes and do things right the first time. 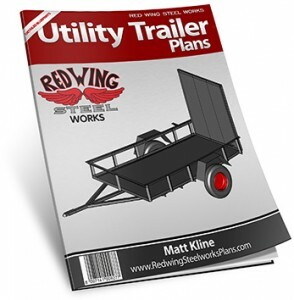 What I have done is compiled all my experience to go along with the most popular style of utility trailer and the end result is my 32 & 32 (64 total) page info packed sets of utility trailer plans. Plus a 9 part step-by-step video. If you are a hands-on guy that likes to build your own stuff like I do, you would much rather build your own trailer than pay $1,300 for an under-built one. You also get the bragging rights when your buddies ask where you got your awesome trailer and how much it costs. Step by step instructions – From the first cut to the last weld everything is detailed. Plain talk – There is no technical mumbo-jumbo or confusing language. 4 view drawings – Every part is clearly drawn and dimensioned in 4 different views. Customizing options – You can build this trailer to suit your needs. 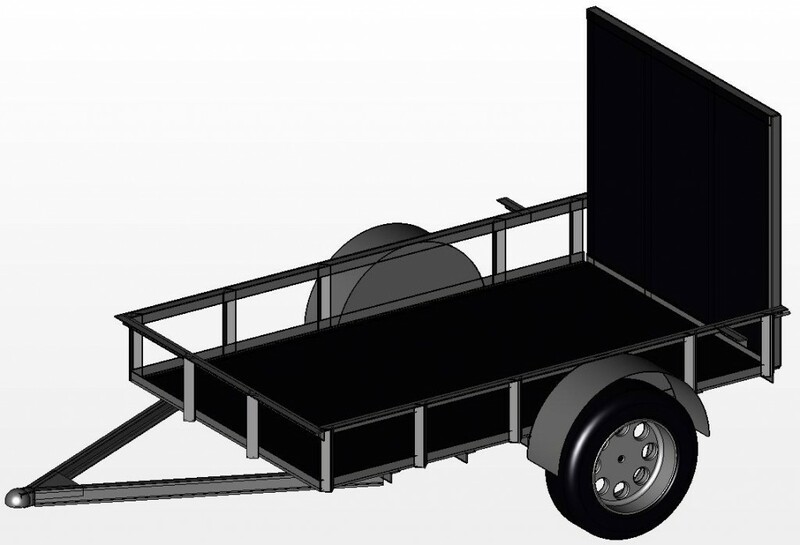 Strength – Drawn to build a trailer with a 3500 lb capacity. Full materials list – Just take this list, buy the stuff and build your trailer! You can build your own utility trailer worth $1,300 for only $600 – $800, saving you $600 and you have something that you built. Oh, did I forget to mention that everything is completely FREE? That’s right, FREE! I’m not even going to ask for your email address (I wouldn’t know what to do with it anyway). This is my little attempt at “paying it forward” in an industry that has been so good to me over the years. Please feel free to spread this website around to anywhere or anyone you like. The PDF file is completely safe and you have my word (as well as my contact info).